The Suzuki Alto is a city car built for the cut and thrust of town traffic, taking up tiny space yet offering decent passenger room inside and costing very little to run. Suzuki might be better known as a motorbike or outboard boat engine manufacturer, but it's also something of a small car specialist. And the Alto is exactly that, a city car built for the cut and thrust of town traffic, taking up tiny space yet offering decent passenger room inside and costing very little to run. 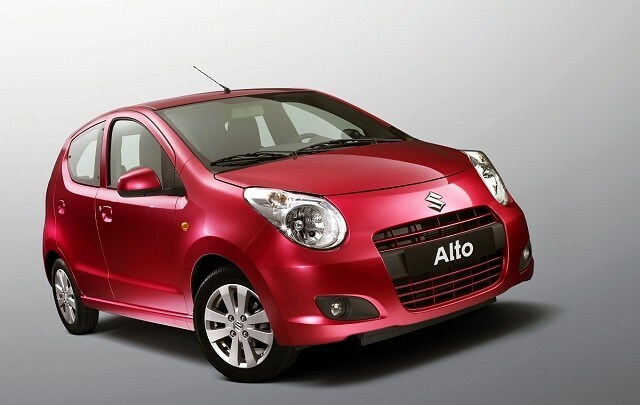 Suzuki has been building city cars for years and this Alto is the seventh generation to roll out of its factories. Built in India, it's also available as the Nissan Pixo (albeit wearing a different nose) - it's a five-door only model. It's all very simple, from the innocuous styling to the rather hard-wearing, workmanlike feel to the interior, so think of the Alto as a tool rather than a car you'll covet. The range is as simple as the car itself: there's only one engine, a 1.0-litre three-cylinder petrol unit producing 68hp. It's mated to either a five-speed manual or a four-speed automatic transmission. The automatic is more popular, even though it impacts on the already modest performance - and hurts economy too. The popularity of the automatic is down to the relative lack of availability of self-shifting transmissions from its rivals. A single trim level was sold in Ireland, though buyers will find UK imports badged SZ2, SZ3 and SZ4. To drive it's utterly forgettable, except it's easy to manoeuvre in traffic and when parking, which is kind of the point. Passenger space is greater than you'd imagine, though the boot is tiny. We can't argue with availability and it seems that customers buy Altos equipped with the automatic transmission. It might be slower, and less environmentally friendly, but it's convenient for the kind of drivers who'll want it. Look out for the occasional car featuring air conditioning too. The Alto is a basic city car for those looking for a simple, no-nonsense means of getting about town. The auto helps, but this Suzuki is only every going to be a tool, while so many other competitors offer a lot more charm, for much the same money.